I've seen many versions of salt crusted potatoes and thought I would give it a whirl. I love the sweetness of a baby red potato and then with the salt crust, yum! This really is the easiest recipe ever. Also, the skins of the potatoes come out super crisp and tender like parchment. Enjoy! Scrub potatoes and dry. Then toss with just enough olive oil to coat. 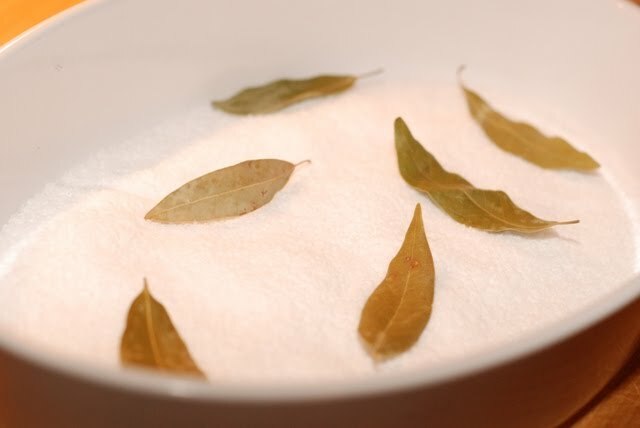 Place 1" of salt in a baking dish that is large enough to hold all the potatoes in a single layer, scatter a few bay leaves. Next place potatoes in salt and press into the salt so they are almost covered. Bake in a 375 degree oven until tender, about 45 minutes. Brush a bit of the salt off and serve immediately. Oh I love little potatoes like that! They look fantastic! I love salt and I love potatoes so I KNOW I would LOVE this recipe. Great method, and oh, those crispy skins -- irresistible! 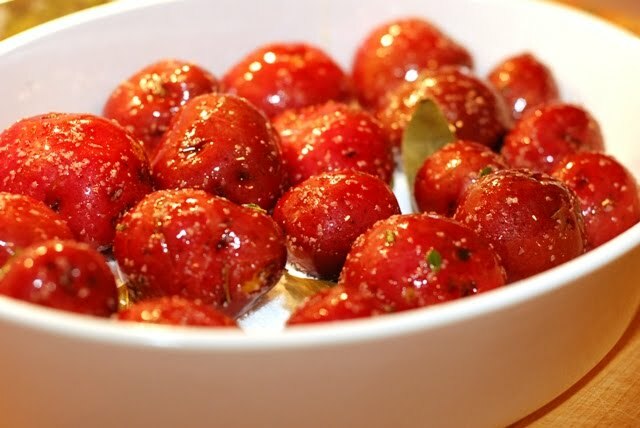 Baby red potatoes have a great flavor, and I'm sure the salt and the bay leaves gave these an extra kick. 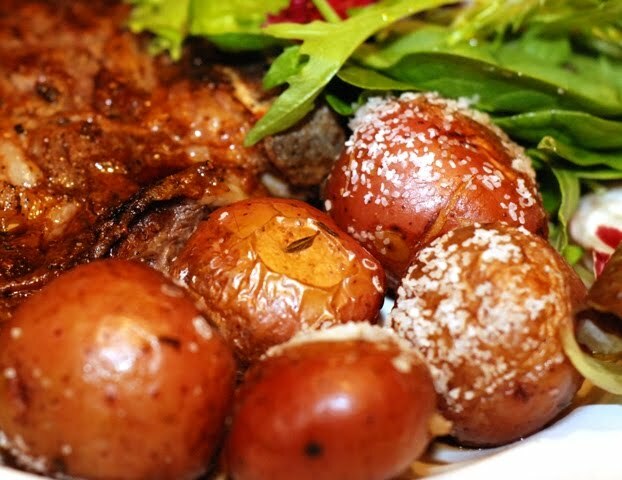 I've never met a tater I didnt like :) This looks really wonderful!If you wont mind I'd love to guide Foodista readers to this post.Just add the foodista widget to the end of this post and it's all set, Thanks! These look beautiful and tasty. Will be giving them a try. Great photos. YUMMY, I have eaten these but had no idea how to make them! They look awesome. I'll be making them this weekend.